Mrs. Flycoon and I went with a couple of her relatives to an area north of Laramie, Wyoming. Other than a slight dose of altitude sickness (I don't do well over 8,000 feet), a fine time was had by all. The weather was perfect, and the traffic was minimal. His ribs will have to heal, first. 11 July 1969: Neil Armstrong and Buzz Aldrin in the Lunar Module simulator at Cape Kennedy. An undated image of Hale Crater taken by NASA's Mars Reconnaissance Orbiter. Scientists reported on Sept. 28, 2015, that the narrow streaks on the slopes could have been formed by saline water. But an object swept up just a week ago by observers using the PanSTARRS 1 telescope atop Haleakala on Maui has an extreme orbit — it's on a hyperbolic trajectory that doesn't appear to be bound to the Sun. Preliminary findings, published earlier today by the International Astronomical Union's Minor Planet Center (MPC), suggest that we are witnessing a body that escaped from another star. Initially designated C/2017 U1, this interloper was a dim, 20th-magnitude blip when first spotted on October 18th, after having zipped within 37,600,000 km (23,400,000 miles) of the Sun on September 9th. Such a close approach to the Sun's searing heat would ordinarily spell doom for a small comet. Based on its apparent brightness, dynamicist Bill Gray calculates that it would have a diameter of about 160 meters (525 feet) if it were a rock with a surface reflectivity of 10%. "It went past the Sun really fast," Gray notes, "and may not have had time to heat up enough to break apart." 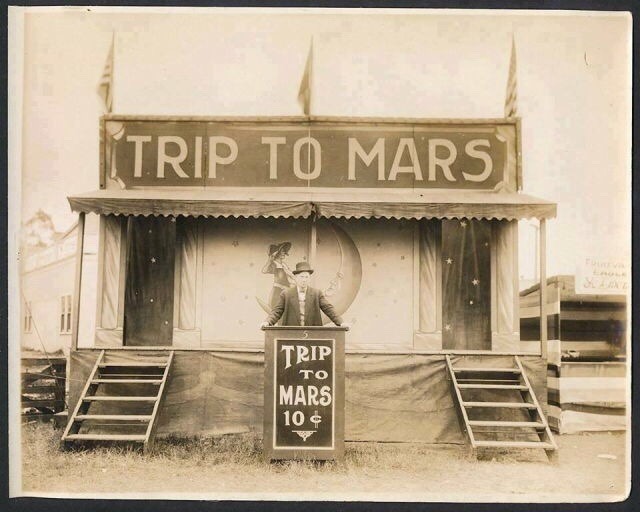 Now it's headed out of the solar system, never to return. It passed closest to Earth on October 14th at a distance of about 24,000,000 km (15,000,000 miles), and astronomers worldwide have been tracking it in the hopes of divining its true nature — especially whether it's displaying any cometary activity. Its true character became clearer after Karen Meech (University of Hawaii) recorded a series of images with the Very Large Telescope that, when stacked, showed a perfectly starlike object. So it's a deep-space asteroid, not a comet, and consequently officials at the MPC changed its designation to A/2017 U1. At least two astronomers managed to take crude spectra of the object: Alan Fitzsimmons (Queens University Belfast) with the 4.2-m William Herschel Telescope and Joe Masiero (Jet Propulsion Laboratory) with the 5-m Hale reflector. Both show A/2017 U1 to be somewhat reddish but otherwise undistinguished. What gave this object away as an interstellar visitor wasn't its spectrum or its very high inclination (122°) with respect to Earth's orbit, which isn't particularly rare, but more critically its extremely hyperbolic eccentricity (1.19). This value, well in excess of 1, means the object's orbit is not bound to the Sun. Check out its pass through the inner solar system using JPL's interactive Horizons app (requires Java). Dynamicists had previously calculated how often comets and asteroids from other stars should be in our midst. However, the only other object suspected to have an interstellar origin was Comet Bowell (C/1980 E1), which had an eccentricity near 1.05. However, notes S&T Senior Contributing Editor Roger Sinnott, "Comet Bowell apparently was not hyperbolic on the way in, but only as it left" because that object passed within 35,000,000 km (0.23 a.u.) of Jupiter, whose gravity gave it a boost in speed. This object entered the solar system moving at 26 km (16 miles) per second. At that speed, in 10 million years it would traverse 8,200,000,000,000,000 km — more than 850 light-years. According to Gray, the PanSTARRS "comet" appears to have entered the solar system from the direction of the constellation Lyra, within ½° of right ascension 18h 44m, declination +34° 40′. That's 4½° from Vega — tantalizingly close and eerily reminiscent of the plot of the movie Contact. Given that Vega lies 25 light-years away, a hypothetical escapee would have taken nearly 300,000 years to get here. However, due to its combined radial and proper motion, back then Vega itself would have been nowhere near where it is now. More intriguing is the fact that A/2017 U1 is coming from a spot only 6° from the solar apex, the direction that our Sun is moving (at about 20 km/s) through its interstellar neighborhood and thus, statistically, the most likely incoming direction for an interstellar visitor. The spinning vortex of Saturn's north polar storm is seen from Cassini spacecraft on Nov. 27, 2012. The photo released by NASA was taken from a distance of approximately 261,000 miles (420,038 km) from Saturn. Earth is a pretty small planet, in relative terms. Think of how large Jupiter and Saturn are in comparison and you get an idea for how small our home is. Now, Nasa's Spitzer Space Telescope has found a new planet, called OGLE-2016-BLG-1190Lb, which is 13 times the mass of Jupiter. It's so large that astronomers are contemplating it may not be a planet. Researchers at a range of universities around the world have reported the discovery, which they say: raises the question of whether such objects are really 'planets'(formed within the disks of their hosts) or 'failed stars' (low mass objects formed by gas fragmentation). They continue: It is precisely measured to be right at the edge of the brown dwarf desert. This is somewhere between 13 and 14 Jupiter masses. OGLE-2016-BLG-1190Lb has about 13.4 Jupiter masses. Since the existence of the brown dwarf desert is the signature of different formation mechanisms for stars and planets, the extremely close proximity of OGLE-2016-BLG-1190Lb to this desert raises the question of whether it is truly a 'planet' (by formation mechanism) and therefore reacts back upon its role tracing the Galactic distribution of planets, just mentioned above. The planet is around 22,000 light years away - but further observations are encouraged to help shape our perceptions of planets, dwarf stars, and gaseous masses. On 9 January 1992 Aleksander Wolszczan and Dale Frail announced the discovery of two planets orbiting the pulsar PSR 1257+12 , generally considered the first detection of exoplanets (a planet outside our solar system that orbits a star). Since then, Nasa reports we have confirmed 3,550 exoplanets. This is how the newly discovered belts of dust around the closest star to the Solar System, Proxima Centauri, may look. ALMA observations revealed the glow coming from cold dust in a region between one to four times as far from Proxima Centauri as the Earth is from the Sun. The data also hint at the presence of an even cooler outer dust belt and indicate the presence of an elaborate planetary system. These structures are similar to the much larger belts in the Solar System and are also expected to be made from particles of rock and ice that failed to form planets. An artist's impression of a "normal" supernova. Astronomers at the Las Cumbres Observatory saw a supernova grow faint, then bright, then faint again five times. Death definitely becomes this star. 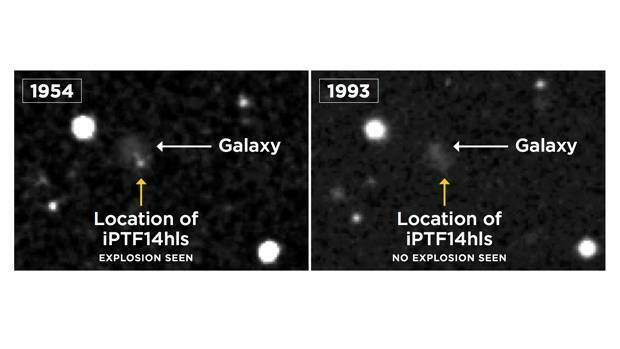 Astronomers have reported on a massive, distant star that exploded in 2014 - and also, apparently back in 1954. This is one supernova that refuses to bite the cosmic dust, confounding scientists who thought they knew how dying stars ticked. The oft-erupting star is 500 million light-years away - one light-year is equal to 9.5 trillion kilometres - in the direction of the Big Bear constellation. It was discovered in 2014 and, at the time, resembled your basic supernova that was getting fainter. A Sky Survey image (left) shows a possible explosion in 1954 where iPTF14hls was located. This was missing from a later image (right) taken in 1993. But a few months later, astronomers at the Las Cumbres Observatory based in California, USA, saw it getting brighter. They've seen it grow faint, then bright, then faint again five times. They've even found past evidence of an explosion 60 years earlier at the same spot. Supernovas typically fade over 100 days. This one is still going strong after 1000 days, although it's gradually fading. The finding was published on Wednesday (Thursday, NZT) in the journal Nature. "It's very surprising and very exciting," said astrophysicist Iair Arcavi of the University of California, Santa Barbara who led the study. "We thought we've seen everything there is to see in supernovae after seeing so many of them, but you always get surprised by the universe. This one just really blew away everything we thought we understood about them." The supernova - officially known as iPTF14hls - is believed to have once been a star up to 100 times more massive than our sun. It could well be the biggest stellar explosion ever observed, which might explain its death-defying peculiarity. It could be multiple explosions occurring so frequently that they run into one another or perhaps a single explosion that repeatedly gets brighter and fainter, though scientists don't know exactly how this happens. One possibility is that this star was so massive, and its core so hot, that an explosion blew away the outer layers and left the centre intact enough to repeat the entire process. But this pulsating star theory still doesn't explain everything about this supernova, Arcavi said. Harvard University's astronomy chairman, Avi Loeb, who was not involved in the study, speculates a black hole or magnetar - a neutron star with a strong magnetic field - might be at the centre of this never-before-seen behaviour. Further monitoring may better explain what's going on, he said. Las Cumbres , a global network of robotic telescopes, continues to keep watch. Scientists do not know whether this particular supernova is unique; it appears rare since no others have been detected. 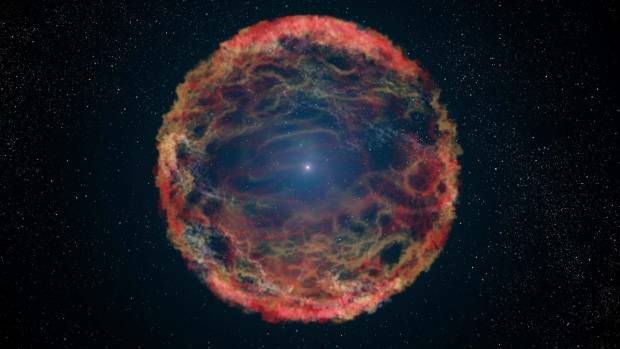 "We could actually have missed plenty of them because it kind of masquerades as a normal supernova if you only look at it once," Arcavi said. Nothing lasts forever - not even this super supernova. "Eventually, this star will go out at some point," Arcavi said. "I mean, energy has to run out eventually." Bad news first: There's definitely no water on distant planet WASP-18b. But the good news: The planet's atmosphere is keeping scientists on their toes—in fact, they say it's like nothing they have ever seen before. Although the planet was first spotted in 2009, a team of astronomers is doing new research on its atmosphere and have published a new paper on the topic in The Astrophysical Journal Letters. That news has led some to nickname WASP-18b the "Death Planet" although it's not really any more brutal than any other planet of its type, which is known as a "hot Jupiter." In fact, it's not even really any more brutal than literally Jupiter and its neighbor Saturn, which vaporized an entire spacecraft in a matter of minutes earlier this year. Most of the other hot Jupiters scientists have spotted in other solar systems are brutal in a different way, with atmospheres that are typically full of chemicals like titanium oxide and vanadium oxide. And some of the team's results make sense for that model: They found signs that chemicals are absorbing sunlight in WASP-18b's upper atmosphere, just as these chemicals would do. But when the scientists analyzed the light they saw from the planet, which is a messy mix of information about all the chemicals that make it up, they realized it didn't look like any other planets that have been studied so far. Specifically, the models they ran suggest the atmosphere had to contain basically just carbon dioxide and carbon monoxide and nothing else. And the scientists knew that if Venus-like carbon dioxide was the culprit, there should have been enough oxygen in the atmosphere to also produce water, which was nowhere to be seen. A sun-absorbing upper atmosphere built out of carbon monoxide, however, has never been spotted before. “This rare combination of factors opens a new window into our understanding of physicochemical processes in exoplanetary atmospheres,” paper co-author Nikku Madhusudhan, an astronomer at the University of Cambridge in the United Kingdom, said in the press release. Fortunately for astronomers, the James Webb Space Telescope, due to launch in 2019, should offer more information about WASP-18b and other exoplanets. If you can't stay up to watch Monday night's supermoon, you'll be over-the-moon to hear it's just the first of three in the next few months. NASA's taken a leaf out of Hollywood's book and billed it the 'Supermoon Trilogy'. "Supermoons are a great opportunity for people to start looking at the moon - not just that once, but every chance they have," said Noah Petro, research scientist at NASA's Goddard Space Flight Center. The moon's orbit is elliptical, and when it's at its closest to Earth it appears 14 percent bigger and 30 percent brighter than normal. Monday's lunar largesse will be followed by a second supermoon on January 2 (NZ time), but it's the third that has skygazers especially excited. On the night of January 31 (NZ time), the supermoon will also be a 'blue moon' - the second full moon in a calendar month. Not only that, but in some parts of the world - including New Zealand - it will coincide with a lunar eclipse, making it both a blue moon and a 'blood moon'. The moon will move into the shadow of the Earth at 11:51pm, ahead of the full eclipse at 1:51am. By 5am, the moon will be back in the full light of the sun. It's called a 'blood moon' because light passing through the Earth's atmosphere is bent into a red hue. "We're seeing all of the Earth's sunrises and sunsets at that moment reflected from the surface of the moon," said Sarah Noble, NASA scientist. Lunar eclipses happen about twice a year. Blue moons occur every two-and-a-half years. None of the coloured moons should be considered harbingers of doom. On Friday (December 22) a 5:27 PM Pacific Time, a SpaceX Falcon 9 rocket is scheduled to launch from Vandenberg Air Force Base in California. The rocket will send ten Iridium satellites into orbit. We saw the launch from Santa Cruz. It was pretty cool. The images were shared on the NASA's website and the rover's Twitter page. Meanwhile, back on Mars... I’m checking out these stick-like figures. Each is about a quarter-inch long. Maybe they're crystals? Or they could be minerals that filled spaces where crystals dissolved away. Stay tuned! Science continues. "Each is about a quarter-inch long. Maybe they're crystals?" the Twitter post read. "Or they could be minerals that filled spaces where crystals dissolved away. Stay tuned!" Curiosity first visited the site earlier in December, but was directed back there on New Year's Eve to check out what NASA called "some very peculiar targets that warranted some additional interrogation". That's where Curiosity snapped images of the strange markings, each only a few millimetres long but remarkably different to their surroundings. Followers of the rover on Twitter had the usual out-of-this-world suggestions, including space dinosaur fossils, sandworms and angel turds. Monty Python comedian Eric Idle pitched in to suggest they were tyre tracks. Curiosity, the size of a car, was only expected to survey Mars for two years after it arrived on the red planet in 2012. It's so far lasted five-and-a-half years.